The Quiltzette - CQC Customer Appreciation Day! Customer Appreciation Day - This Friday! Back by popular demand . . . CAD cards! Pick up your Customer Appreciation Day card on Friday, November 29 (yes, that's "Black Friday") when you spend $25 at CQC. Use your CAD card once a month for one yard of fabric free when you purchase three at regular price. If you're going to be out of town you can send a friend to get your card for you. One CAD card per customer. Don't miss this event . . . it's worth 12 yards of FREE fabric! Also on Customer Appreciation Day . . . Complete a Wish List for the holiday season, let us know who to notify that you've made your list, and you'll be entered to win a $50 gift certificate. Door prizes courtesy of Quilters Dream Batting company. Choose an item from the customer appreciation basket when you pick up your CAD card. Take an extra $1/yard off all clearance fabric. Check out the basket of clearance patterns on sale for $2 and $3 each! 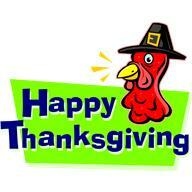 We have classes scheduled for the rest of 2013 and into next year. Click here to see our full class schedule! Is new sewing room furniture on your wish list? If so, you can sweeten the deal by making your purchase before the end of the year. 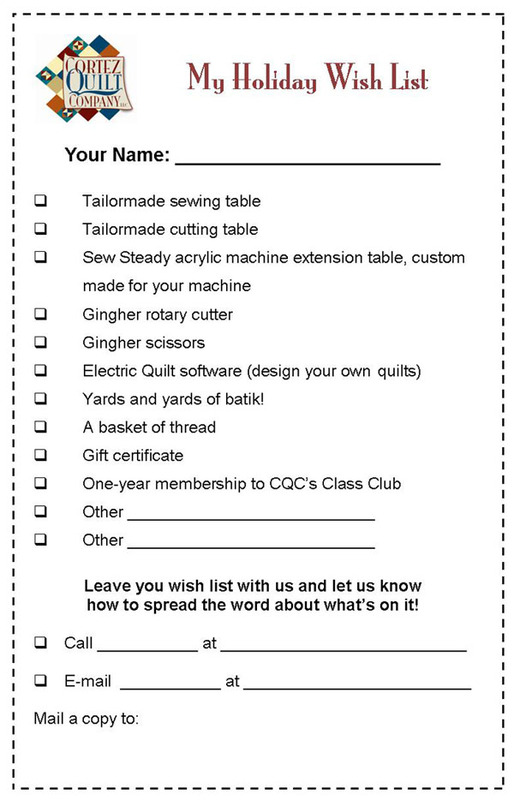 Take home a Tailormade Quilter's Vision Sewing Table and Companion Chest and you'll take home a one-year Class Club membership right along with it. Purchase the slightly smaller Eclipse sewing table and enjoy a Gingher rotary cutter as our gift to you. Buy one of the fabulous, functional Cutting Tables and your bonus present will be new pair of Gingher 8" shears. Just think of what you'll create with your new tools! Visit this page on the CQC website to for more information and photos of all of the Tailormade pieces. Remember, this special offer is good through the end of the year only, so act fast!